Note: I updated this blog post in 2018 for clarity and more resources! Maybe you’ve dabbled in the art of manifesting or maybe you’re a Law of Attraction junkie. Either way, like any skill, it can always use some fine-tuning! We’re all beings of energy. When our energy vibrates at a low level we attract low-level circumstances. But when our energy is in a high vibration we attract positive outcomes. I know that may sound super heady, but it’s the straight-up truth. In order to powerfully manifest your desires you must learn to see beyond your physical sight. @gabbybernstein Tweet it! There are several important steps to manifesting, though I believe one in particular is crucial. If you practice this step, you will see your desires come into form quickly. And you will have a lot of fun doing it! 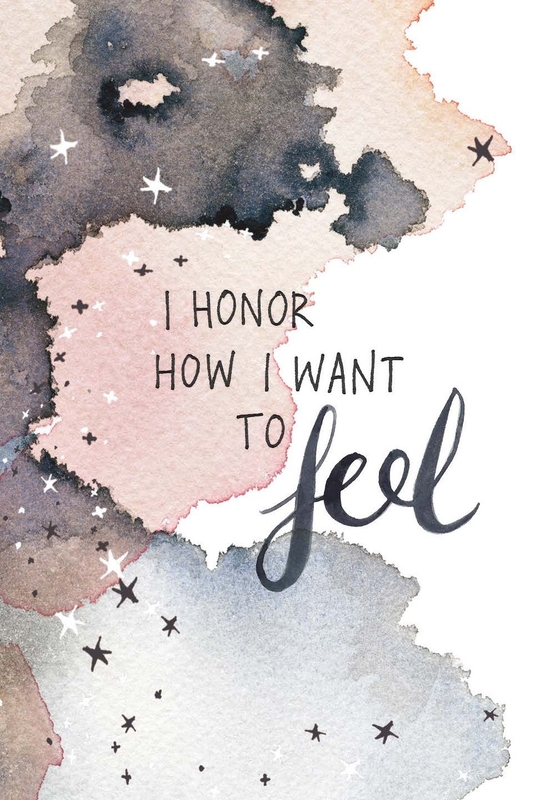 The key to manifesting: Cultivate the feeling you want to experience! The most important key to manifesting is to cultivate the feeling of what it is that you want to experience! When we’re feeling a sense of lack, deprivation or loneliness, we’re creating more of that experience in our life. This is because each thought and feeling we have sends an energetic message to the Universe. And the Universe always responds in kind. The Universe will deliver us people, experiences and outcomes that match our vibrational frequency. You can write a million times in your journal, “I am abundant,” but if you don’t feel abundant you will not attract abundance. In order to manifest your desire, get very clear about how you want to feel. And then do whatever it takes to support that feeling. This is key to manifesting. If you want to feel loved and find romance, then make sure that you are loving yourself very deeply. Tend to the non-romantic relationships in your life and appreciate the love you do have. If you want to feel abundant and you want to earn more money, then make sure that you are respecting your money and appreciating all you have right now. Pay your bills, save money and open those emails from your student loan company. On the flip side, don’t deprive yourself. Spend your money mindfully on experiences and objects that bring you joy and make your life better. These don’t have to be extravagant purchases. You can find abundance in a cup of coffee! Be consciously grateful for the abundance you have. Joy and gratitude are extremely powerful. Have fun in your manifesting practice! As you start to dwell in the feeling of what it is that you want, that feeling becomes your reality. Cultivate the feeling and then take actions to really support that feeling! This practice is the #1 key to manifesting, and I hope it supports you. 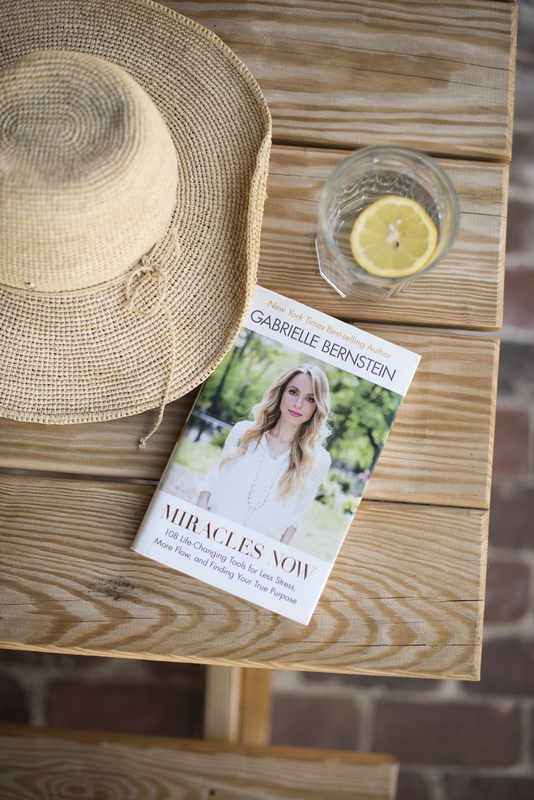 Check out my bestselling book Miracles Now for 108 simple techniques to clear blocks and live with ease! These are simple, powerful practices that will help you raise your energetic vibration and manifest what you desire. Feeling good is the key to manifesting, so embrace every opportunity to cultivate the feeling you want! Sold! I’m definitely buying your new book. You have helped me so much Gabby and this is just the topic I need to work on. I want to FEEL successful. I know intellectually that I have it all. I have an amazing husband, 2 wonderful kids, a nice house by the beach, excellent health…etc. But I am blocking myself from feeling successful because my art career is not as big as I dreamed it would be at this stage in my life. I know I need to continue to focus on my specific goal yet remove the blocks. I can’t wait to hear your seminar and read your new book to help me leap to the next level and FEEL successful. Here’s to a successful 2014!!!! I’m officially a Sprit Junkie! you are so awesome and enthusiastic! omg! Loving everything you do! Thanks for all the amazing gifts you are giving through your insights and love. you have literally opened me up to miracles! I have a question – what would be your top 3 tips on letting go of the outcome when manifesting – is there something we can do or practice to ensure we are not clinging tightly to the desire? Gab, couple things: you’re so adorable in this video, especially when you’re like, ‘I could talk about this all day & I am!’ so cute! I can’t wait for Miracles Now & workshop! Love that story about Rha and always reminds me to focus on the content not the frame! I hold a vision of working with you in some awesome creative way. I have no idea how or when, but I know some day it will happen and be rad and epic I hold the vision loosely to welcome whatever comes up! I can literally be brought to tears by this vision and the amazing work you do! I’m reading the book 🙂 and I’m VIP at your seminar you’re hosting at the W in San Fran. But I tossed my receipt. I never keep them. Any other way?. I really want to watch it. Thank u! if you signed up then you are on the list. the list will be at the door:) xoxo so psyched to see you there! lol… now I don’t feel weird about the fact that I actually rewinded the video because she was just really cute! haha I know I feel like a goof! Gabby, this was so what I needed to hear!! I am applying for the B-school scholarship. As a college student, I still cannot afford to pay-my-way into B-school. I’m relying on this scholarship. I want to win so badly that I’ve been calling all my friends to check out my video and leave me a comment so Marie will notice me! I am clenching so much to this because this is EXACTLY WHAT I WANT… letting go is really hard. And scary. PLUS maintaing the “feeling” that I want to feel. OMG is that HARD! That is like super hard. I need more tips on how you do it. I’m trying. Maybe it’s like a muscle and the more I try, the better I’ll get. Thanks for the timely video, Gabs! soo timely. let it go mama! I think I start each of my posts like this.. .but, once again, so well timed. Lately, I have been cultivating the need for more work (i teach yoga) in my life because I was working very few hours and spending the rest of the day very bored. Now, I have the work coming to me in ways I couldn’t imagine. Some of it i am loving and others I am a bit unsure of. So, my question is what do you do when you get what you’ve been asking for and it doesn’t feel, 100% right? Is it ok to say no, even though i need the money? On a positive note .. . i am fully indulging in the fact that manifesting really does work for me and i know i can use it so much more in my life! Looking forward to this workshop and your new book! Thrilled that I will have access to this even 10 years down the road. Thank You for all that you do! Looking forward to meeting you again, I know I will. Once again”The feeling more then the thought”. I ordered 4 of your books already, as gifts and 1 for me. omg you are awesome!!! i am so PSYCHED ABOUT THIS BOOK!!! it’s going to rock your world!!!! Can we buy the ebook and still get the course? I will be travelling more and e-books work better for me. Thanks!! This is just the reminder I needed right now- thank you! I am hoping you can offer up some advice though… the hardest part for me is clarifying what I want. Most of the time- I have NO clue! In the past this has tripped me up to follow a path I am “supposed” to follow based on social norms and expectations, but leaves me unfulfilled. How do I find out what it is I want so I can begin to manifest it? Hi! This is a technical note, when I look at the link for preordering your book right under the video, the link goes to: http://gabbyb.tv/vlogging/www.gabbyb.tv/mircles which unfortunately doesn’t go where it should. I was able to just navigate myself to the right URL, but you might want to update it so others who may not know how to work it out can still make it to the right page! That’s HI-LA-RI-OUS !!! “she wanted big, tall & black and she got short and white” !!! Totally love this story about your coach as it sooooooo illustrate the power of letting go and letting Goddess. I’m reading May Cause Miracles right now, so this looks like a good investment! I promise you will be psyched! Love this Gabby!! This is probably one of the most overlooked things in the manifesting process. Everything we want and need is so often right in front of our face, we just need to allow it! So excited for your new book! so strange. it’s totally fine on my end. no one else mentioned this. not sure. I loved this! I’ll try to manifest you to do the seminar here in Sweden as well 😉 I also have a vlog-request. I read a few comments in an earlier video about kundalini yoga and about attracting negative energy from people, and I’m that kind of person who always feel everyone’s energy and mood, happy, sad, angry, irritated etc, etc and I always try to cheer them up, I know that it’s not my “job” to do, and it’s ok not to be happy all the time but I just can’t help myself when somebody is a bit down. I would love to hear your thoughts about bad energy and compassion topic and thank you so much for your love and inspiration!!! hi honey, have you tried the meditation for healing addiction? I don’t think that I have…. I will check it out. I work the program of aa, I’m on step two. This is actually what I needed to hear, I am ordering your book now. So excited can not wait to get it and start reading. Love your VLOGS! psyched to see you in london again! Wow! So this morning, I started to read the chapter on manifesting in your first book and today, that was the topic of your vlog. I never fully understood the concept so I now believe I have a better understanding. I also look forward to your new book (although I am still working through the first three as part of my morning meditation/reading time) and want to thank you again for sharing. Ps…love your sweater in this vlog! Hi Gabby! Very excited for your new book, will be pre-ordering it soon. I’m excited for the manifesting workshop, this is something I struggle with, especially the feeling part of it. When you mentioned the person who was fixated on black, tall and wealthy I thought you were talking about me.. that’s my dream. lol But I do understand the message, I’m not sure how to apply it, same thing with self-love. Self-esteem, self-image are something I’ve struggled with all of my life and how to love myself. I’m not speaking at the denver event. Is my name still on the promotions? Yes, yes, yes Dear Gabbi!!! And it is only when we let go of what we want that we can open space for what is really ours to come. Love you! Thank you for this Gabby. It’s Shevy from Jamaica. Since I last heard you speak at UTS in NYC last May I have gone through the most difficult period of my life. My Father became very ill and I chose to be here in Jamaica to be next to him during this last stage of his journey. It has been so rewarding and so challenging. So much has changed for me and so many times I thought I really would not make it – meaning I would either eat myself to death or be depressed to death or something like that. But I am still here and doing surprisingly well 10 months later. So, I just wanted to say thank you because a lot of what I heard from you or what I read from you really stuck in my mind throughout the darkest times and when memory failed you showed up in my dreams with very short and specific messages. Thank you, thank you. I hope to manifest a trip to NYC in April and make it to your book launch! Just wondering…do you think it is possible to manifest a specific person to your life? A certain man I’m interested in? Great tips- Gabby! thanks so much! Just what I needed right now. In ‘manifesting mode’ :)! I’d like to buy your audio book via audible.co.uk. Can you add it to the site (Wayne Dyer has his latest book available on pre-order on the site) also, if I pre order via audible can I access the free workshop? Just a suggestion that may help. I just discovered your teachings/ meditations and bought your 6 Week book which I’m starting tomorrow morning. I’ve also struggled with moderate to severe depression for 14 years, multiple suicide attempts, medications, etc and find myself suicidal again after a 4 month reprieve. I really want to take the next 40 days/ 6 weeks to give it (life) my best shot, to manifest healing, love, abundance and to regain the miracles I attracted into my life before I let fear rip them away. What can I do? How should I approach these next 40 days to see the changes I need to commit to living this life? Thank you! commit to each day. try to make it through the full 40 days. if you fall off, forgive yourself and start again. be kind to yourself and let the process take over. many blessings to you on your journey. I’ve always been interested in manifesting and tapping into my highest energy levels but I feel as if I’m too lazy or not inspired enough to do it. How do I fix that? My struggle with manifesting as well as ACIM is allowing myself to believe that the universe, God, ~ing truly do have my back. Trusting in God is so foreign to me that I find myself disbelieving or constantly asking for a sign so that I will believe. How would you overcome this struggle with faith? Beautifully said. Thank you. Your books and lectures have helped to bring light to my life. I’m forever grateful. And! I’ll see you in June at the Omega Institute. Can’t wait! Any tips on dealing with the inevitable fears that arise when manifesting and stepping more fully into one’s essence, abundance, and power? Fear cuts off your connection to your inner power. True manifesting requires that we release the fears that block the presence of faith within us. Faith is the opposite of fear. When we’re in faith then we can laugh at the “tiny mad ideas” of the ego. Begin to practicing laughing at the fears. This is very powerful. How can you be sure what your trying to manifest will happen in time. When it’s time sensitive? Hi Gabrielle, I love your spirit! I would like to know, have you ever tried to manifest something, but it didn’t work out and you still don’t know why? I have two beautiful children. I’ve been manifesting a 3rd baby for 3 years now to no avail and age now becoming an issue. I’m constantly lifting myself up after getting let down. How do you keep manifesting when at times you feel defeated or you wonder why God does not have it in your plan to have a baby….I just can’t accept that I am unable to have a little healthy baby soul choose me. It sounds to me like you need an energetic surrender. the ups and downs are blocking your manifesting power. Surrendering the outcome allows you to call in what is REALLY right for you. Some miracles come in a form we never expected. For clearing your energy field I suggest you start practicing EFT: Check this out http://thetappingsolution.com/cmd.php?Clk=5220669 … I also have videos on tapping on this blog. Begin clearing your energy and praying to release your attachment to the outcome. big love! Gabby you have been such an inspiration to me! I try to meditate everyday and think positive thoughts and have positive feelings. For years now I have been trying to manifest a past relationship (ex boyfriend) back into my life. We do not communicate but I really miss him. Do you think its possible to manifest this relationship back into friendship? be aware of the fear. when you notice it come in, immediately ask for it to be reinterpreted. I feel like when I try to manifest something I’m trying to “force” it. Also, if it’s something I really want I feel too attached to the outcome. How can I resolve these 2 issues? Hey! You are such a light and I just adore you. My question is how to manifest healing when chronic digestive pain is a factor in my life. I’ve been working with doctors and a naturopath for my IBS but I find my spiritual work to be the most fulfilling and helpful. I’m 23 years old and on the more uncomfortable days, it is difficult for me to get excited about my plans because I tend to worry about how I feel or how I will feel. HERE’S MY QUESTION ABOUT MANIFESTING FOR YOU THIS MORNING… HOW CAN I MANIFEST ABUNDANCE WHEN THERE IS A CONSTRAINT ON MY DAILY LIFE THAT IS GETTING INTO MY HEAD AND IN THE WAY OF MY MANIFESTATION? FOR EXAMPLE, THE DAY MY BILLS ARE DUE. I WANT TO JUST “LET IT GO” BUT THEN THE VERY REAL CONSTRAINT OF NEEDING A SPECIFIC AMOUNT OF MONEY BY A CERTAIN TIME STARTS MAKING ME WORRY. ANY IDEAS? THANKS SO MUCH, YOU ARE WONDERFUL!! bring joy and love to paying your bills. pray before you pay. this brings a whole new energy into the process. Hey Gabby. Love your work, sorry i missed your London gig in Dec.
for work stuff make sure you’re always dwelling in an energy of service. What do you do when you cannot decide what to manifest. When I focus on something the universe sends me a sign, then I will flip my focus, and it sends me another sign supporting that. I feel like whatever I decide the universe will support me, but I cannot pick one. I can see the Law of Attraction working, but i am unclear about what is the right direction for me, because i feel support no matter what way i turn, but i dont want to make the wrong choice. Hi Gabby – a sincere thank you for all the love and light you put into the world. My question is around manifesting romantic love. I have done a great deal of work to create a specific account of what I most want this relationship to look and feel like. I spend a lot of time calling it to myself, visualizing it and feeling as though I already have it, but when a new man enters my life, the manifestation falls apart. I immediately assume that he will betray me and my internal script shifts from a loving one to one where all I can visualize is him engaging in thoughtless, inconsiderate behaviour. I even have conversations with them in my mind where I’m correcting them for behaviour that I’m anticipating (not for what they’ve actually done). I’ve had some wonderful men enter my life, but I project this assumption on them and then sure enough their behaviour shifts to exactly what I visualized. The positive? It’s proof that I can manifest what’s in my mind! But I need a strategy that helps me stay focused on manifesting my deepest desires, rather than my deepest fears. Any tips? I am currently unemployed and reviewing no more benefits.. Ive been on interviews and have not rechecked job offers. Some of the jobs I’m interviewing for I don’t feel happy about but I need a paycheck. I am at a very low vibration and sometimes I try to meditate and just self talk my self into positivity but it’s so hard and I’m losing hope. How can I manifest at this level of hopelessness and feelings of being lost without purpose? What would your advice be to an 18 year old who is not yet fully in charge of her financial situation because she still lives at home in full time school, and struggles to influence her parents’ attitudes towards money? Thanks, and so so much love and gratitude for you and May Cause Miracles, on week 4! there’s something blocking you from moving forward. dig deep and find the fear-based belief that is holding you back from stepping into your greatness. Two manifestations: the “F” word and self-love. Two things that sound good, but practical action steps for these two things. Is praying and meditating on them enough, or are there actual activities one can do to “do the work”? You have said, “forgive like it’s your full time job”. I’m up for it, but looking for action steps for both of these manifestations. Merci! I know that patience, and letting go are key when it comes to manifesting your dreams, but do you have any other little tips for us addictive daughters who feel so strongly pulled to their visions of the future, that they can barely sleep because of the excitement?! I know – quite a lovely problem to have! Blessings to you gorgeous and can’t wait to see you in the UK! I find it hard to stay on track with my spiritual work when life gets crazy. I fall off the wagon and then tell myself to take it easy and not put to much pressure on myself to get all these tasks done because then I just get more stressed out. So I guess my question is: how do I culitivate a regular practice that is realistic and not rigid? It has happened to me multiple times that I figured out what I want to manifest (eg,movin to NYC) and envisioned my dreams every single day with the help of my vision board. the first few times visualising feel very magical,super uplifting and inspiring, but after some time, my perception starts to change,”do I really really want that thing to manifest? ?” and my oh so glorious dreams feel dull and uninspiring. HELP. Do you have any advice on this? I am so very grateful for help. Mcm has helped me soo much !! thank you!! Hi Gabby. I have read a lot about law of attraction and manifesting through the years. I’m finally in a place where, despite nothing different around me, I feel/believe in myself and my world, and stay conscious to not fear. Aside from enjoying it and taking active steps toward growth, is there anything else to do? First of all, I really love your videos, Gabrielle. Would it be fair to say that some of the most important ingredients to successful manifesting are to keep our vibes high, connect with the feeling of how it would feel to have what it is that we desire and then let it go? I’ve been trying to manifest a fulfilling work role(more so than my current career) and so far, I haven’t come into alignment with it. Any pointers would be welcome! big love to you! I hope to see you when I’m speaking in London in March!!! Just pre-ordered the new book! So excited to read. I have just come out of University for business but really don’t feel drawn to my Job or work or Business at all I am trying to let go and figure out what my purpose is but having a tough time knowing how to listen and go about it all. I find it really hard to go to work everyday and not be excited or in love with what I am doing. The people are wonderful but I just feel like I am meant to do something else. I love to dance and sing, cook and create but have never really been sure how to manifest to figure out what to do with it all. I have been meditating and doing both your and Doreen Virtues meditations as well as journaling. Any thoughts or guidance would be much appreciated! be the light at the job. the more you bring your light and be the light the more you will feel inspired and supported. in-turn the Universe will support you. when you are no longer needed to “be the light” there the universe will guide you to the next opportunity to shine. TRUST ME! xoxox Will keep you posted! I am trying to release the blocks I have . I am finding it difficult to identify and then releasing these blocks. Any suggestions? We would love to have you come to Tennessee for a workshop! have you done my book May Cause Miracles? I have and have preordered the next one. I need to do May cause miracles again though. Thanks for the reminder! Love this stuff. Love you. But to be honest, sometimes it can feel a little “out there.” I want to manifest things, and i believe i can– its just the getting started part that i find difficult. What would you say is the first thing (the most important) thing someone should do when trying to manifest? Dearest Gabby, thank you. Your calm presence is refreshing and healing. My request is for your blessing and prayer as I move forward in manifesting complete comfort, ease, security and financial peace for my daughter and myself. Many blessings to you for everything you do. I definitely can! 🙂 Thank you. I was I radio for 15 years until I lost my job in August. I’m happier now, but also scared. My severance is going to run out soon and I’m having trouble finding ways to bring money into my life. How can I manifest this? Thank you!! Thank you for taking questions this morning! I’ve been listening to you (HHR) and I’m looking forward to checking out your books! Your books may provide me with some answers, but I thought I’d ask anyhow! 1-I know I’m supposed to “let it go…” but sometimes I still get caught up in the “how” sometimes – Any advice/strategies? 2-I love my career. I’m completely passionate about it! I have gone after a few (perceived) promotions and it didn’t happen. I thought that those role changes would give me an outlet for my creativity… I’m realizing now it’s a blessing in disguise because it wasn’t the right move for me on any level. I know that there’s something more to my career… I’m 8 years in and I need another outlet within my career to unleash more creativity -I feel like it’s not something that exists yet but that I’ll make “it” happen… I’m not sure if I’m being articulate -> but how do you manifest something when you know it’s “there” and you’ll come up with it, but you’re not sure what it is (yet!) Maybe manifesting not some”thing” but an idea? Thank you! Thank you! <3 In the same breath, I want to make sure I'm valuing self-care. Do you have a suggestion for balancing giving/receiving serving/self-care? Maybe I could rethink self-care as serving too? Hm. The tasks and challenges of daily life often seem to distract and overtake the positive, progressive visions that we have for ourselves. What are one or two very simple tricks to practice daily to bring back that focus and remind us of our true intentions? 1. Breathe into your heart. I’m doing a practice that my coach taught me: every hour breathe into your heart. 2. Be mindful of the words you choose. Practice using high level, empowering words when you speak. I know i am here to serve others but currently work in financial services and not sure I “feel” that this is the best way to be serving… any suggestions on how to manifest my ideal / perfect job? or how to manifest clients that I do feel I am serving?? serve in every area of your life. if you dwell in the energy of service the universe will give you more and more work to do… the best way to manifest a job! What are your suggestions for not blocking manifestations by being too specific in the ask? Working through being open hearted and releasing my control issues, to help the miracles come in a perfect and divine way! Hi Gabby!! Im one of your biggest Spirit Junkies!! I have been married for 10 years have 2 kids. My hubby and I were not connecting and I had an intense emotional relationship with someone else. I came clean to my hubby and we are working things out. My question is: how can I release this other person to move on in my marriage and manifest the life I want. I am a stay at home mom, and I know I need something for ME!! I am a new fan and I am loving your work. My question is…when trying to manifest something, is it best to say affirmations and retouch it everyday, or to set the intention and let it go until it arrives? I am not sure which is more effective. Hey everyone! Love this blog. So i found my way here through twitter. Not sure if you get a lot of guys on here. But i have a major problem i am looking to find a solution for. I have a 16 year old daughter who is struggling to find a career/job. So after one of the horses decides to dance on her knee (i know right) she is injured and has to come home. Starting over she is frustrated and pissed off at me as she thinks im always lecturing her. Only trying to be a loving devoted father. What advice could you give me to find a way to speak to her and open up a dialogue that doesn’t end in her being angry at me. I really just want the best for her! And to help her find a good job. First off, keep loving her and holding positive visions for her. I also suggest you check out my first book, Add More ~ing to Your life (www.gabbyb.tv/books) – this book is GREAT for teen girls!!! I hope this helps. she’s lucky to have a father like you. Ok I will. Thanks for sharing your advice. Any chance of a signed copy to really show her i love her? Will tweet the pics and share the story afterwards. I’m totally new to manifesting. I hear people talking about it and it seems a bit out there but somehow it caught my attention. What does it do and how to start? Is there anything I can do to increase my attracting power and raise my vibration? Ive ready and listened to so many tips on manifesting and they seem great and all but let’s say Im feeling very low in my mood for a awhile, what can i do to raise my vibration off the charts and also increase my attracting power? I want an awesome life – one beyond my wildest dreams but I feel so stuck sometimes, its realy hard. Thanks gabs, I’m definatley attending!!! Your SF workshiop is almost exactly 1 year since I began May Cause Miracles… the book that completely changed my life. Thank you! If we ordered books thru the workshop, will that receipt allow us to register for this online workshop, too? How do you manifest money or more income when the bills keep coming at you fast and you are going further and further into debt. I always believed in the law of attraction following louise hay, florence shinn and the like and in my earlier years i was able to pull on this great power. But this has been my greatest test because I am really struggling trying to manifest at this time. i love manifestation! However, lately I have had emotional blocks sp I am having a lot of trouble ‘feeling’. As we know, feeling correctly is how we manifest. Do you have any suggestions on how to open up and feel? First of all…THANK YOU SO MUCH FOR EVERYTHING YOU DO:) Seriously, you’ve changed my whole life! My question is, I’ve been manifesting my beloved for a while now and I was just wondering what is the best intention and prayer to use while doing this? God, Universe (whoever) thank you for clearing all the blocks to the presence of love within me. Thank you for preparing me for my beloved. pray for love to take over your fear and surrender to receive guidance. be in that prayer daily. Dear Gabby-love. I really need help manifesting. How do you shut off that voice that doesn’t believe the things your trying to feel and/or manifest? I’m having such a hard time manifesting a couple of particular things, one is getting articles sold as a freelance journalist, another is having enough money so I don’t have to be stressed, and the third is wanting to get attention from my McSpecial. I’ve read three of your books, attended your seminar in London and I watch your vlogs all the time, and I’m trying to still my mind and let go and have faith that I will be talen care of, but I have such a strong inner voice that can’t seem to let go of control and I’m so sad to witness how I block myself. Any advice would be so appreciated. Thank you. You’re a star. Hi! I wanted to know how to manifest true ever lasting love into my life. A few months ago I got my heart broken by a guy that promised me he would love me through anything. When I love someone I tend to love them completely. I believe in fairy tales and all that kind of stuff and have hope for one day meeting the right guy. I am just confused cus I really thought my ex was the one. I would just like to meet the true right guy already. I also would love to know how to manifest true happiness into my life 🙂 thanks and have a beautiful day! do you really love yourself right now? that’s the first step. Im in a rut and am looking to manifest change in my life. I try to meditate to receive some direction from my guides but I constantly feel blocked. Im all about manifesting- I guess I am confused about what I need to ask for! Is that wierd? What do you suggest? how long are you meditating for? are you experiencing any stillness? My anxiety is always around my health, at times I can give it to the Divine, but others I cannot seem to let go of the sense that letting go of my health may not be the best plan…what do you think? Thank you ! Looking forward to see you live in Fl !! How do i feel the difference between manifesting and obsessing? When you desire something, sometimes it’s hard to not come from a place of lack (simply because you don’t have it yet!) How do you generate that feeling of already having what you can’t see yet? I seem to be blocking a lot of miracles to the point of some very extreme and painful circumstances. I have been working for awhile on digging deep but I cannot seem to get away from the self sabotage. I’m trying to undo the childhood programming and the “success principles” programming by all of the big name classics which has taught this balls to the wall mentality, and realize now that owning power as a female for me comes from a more connected soft approach. In any case, whatever choices I have made in pursuing my passion, I know on a level that I am awesome and hve so much to offer, but the programming that keeps coming up is see you made the wrong choice again or look what happened. It is destroying me from the inside out. How do I shift the self sabotage and stay in the moment? Thanks, Gabby. Thank you for your recommendation! I did the course about a year ago, but maybe it is time to go back and redo it this time with another set of eyes to see what I can uncover this time. I look forward to your new book and the workshop on 3/22. Thanks for sharing your beautiful gift and for taking the time to answer all of our posts today. You are a phenomenal woman! What do you do when you are loving and healing yourself and surrounding yourself with spiritual teachers and attending all the events that will higher your vibration but are still in a job that doesn’t value or appreciate you (in fact is very stressful and borderline emotionally abusive. I have let go of friends that don’t appreciate me or get me but I can’t let go of my job, I need to make a living to support myself and my daughter. I don’t feel that I am really good at anything imparticular even though I am a loyal dedicated, hard working employee who is valuable to the company but is not recognized or appreciated. I feel that I am not where I belong and it does not serves others but have to be in this position to take care of my family. I know for sure that I belong at all the spiritual events and workshops and I know that I have purpose to serve others….that is where my soul is happy and I feel nurtured and in the right place. I feel like my new love for myself and self care doesn’t match my surroundings and I don’t see a shift in the near future. How do I manifest all the abundance and love and let go of all the lack and struggle? ask yourself, what it is within you that is attracting these types of relationships. what do you believe that is calling this in? hi gabby. is it possible to manifest for someone else? like money, etc? you can pray for other people but they are always exercising their own free will. so try not to control the path of others:) pray and send them light. that’s best. How to deal with severe anxiety attacks I want my life back. On so many meds and still don’t help I’m existing not living. Gabby, we met in St. John’s. I introduced you and emceed the event. I’m coming to the in-person workshop on the 22nd as well! My question is – how do I avoid manifesting the negative thoughts/worries that creep into my mind? witness the thought and in that moment pray for it to be reinterpreted. then pay attention to the guidance you receive. I would love some guidance on how to stay committed and consistent – how to help myself really believe that manifesting my desires can work for me and that I can receive. Thank you! Thank you, Gabby! Yes, I will be there! Hi Gabby, I love your work! Way to let your light shine Girl! I have found that when I put less “thought” into something, that it manifest more rapidly. As opposed to when I want something REALLY bad and I focus ALL my thought and intent , on it unwavering. Now sure why that is.. any Thoughts or suggestions?? Thank you Love & Light! Hey Gabby! I love your books and messages and all you stand for. I am inspired and looked up to you through some tough times that hasn’t been easy. I have to admit though, I’ve been so lonely with no friends who really understand what I’m going through or maybe, don’t even understand me. I’ve always struggled with true friendship – it always seems my B/F/F’s always abandoned me and I’m left alone in bad times. (OH … the stories I could tell about the nasty emails Ive gotten … sometimes those things are not just uncalled for and hurtful!!!!!) I couldn’t even narrow it down to just 1 though – girls have always been so awful towards me. How can I continue to let people in when all they do is walk over me and treat me so awful Girls mostly have been terrible. Family members … I feel as if I have no one. I am currently not working either as I decided to quit my job I hated for 13 years and pursue another career – and even that is not going well and I had to take a step back due to some health reasons. Just always feels like it’s one thing after another and how can one stay positive when everyday is a battle with something. Sorry to sound so negative- but I feel I try and try and just can’t get a break – from people and things in life. ask yourself what it is within you that is attracting these types of relationships. as you heal yourself you will begin to call in empowering, loving, supportive people. how are you not supporting yourself? My question for you is about daydreams. I have a very active imagination and can get caught up in “daydreaming” about all aspects of my life at any time of the day. My thoughts are generally positive and relate to my career, friends, love life etc. Sometimes it feels like manifesting, and sometimes I worry that I’m actually setting myself up for disappointment because I’m attaching to these daydreams. Is there a point when I’m focusing on these dreams too much and my ego is taking over? Or is all this natural? this is so wild! read my comment to the above question. OMG synchronicity! I am a stay at home mom homeschooling my children, babysitting two more and working a few hours a week in a children’s therapy center. I am feeling like no matter what I do it is never enough and am feeling a lack of appreciation from my husband and children. How do I manifest more appreciation/feeling of being enough in my life? As for a question…Do you have any suggestions for manifesting good health even though you feel the physical effects of disease (in my case, ulcerative colitis)? I’m tapping, meditating, visualizing radiant health…but when I simultaneously feel belly pain (for instance) it can be difficult to try to rise above. How do you not block new possibilities when manifesting? For example, what happens if my intuition tells me to visualize a particular job at a particular company that my intuition strongly tells me is the right one for me. I don’t want to limit other possibilities of moving to a different job at a different company that could be even better. Or what if my intuition tells me a person who was a previous partner is the right partner for me, and I manifest us getting back together. Am I then blocking another partner who could be even better from coming into my life? Is the best course to trust your intuition will guide you to the right visuals to manifest? I wouldn’t want to block new, perhaps even better, possibilities by focusing energy on one particular ideal. Just love the energy you´re sending out and the energy you are – soooo incredibly inspiring!! Thank you!! I feel stuck – soooooo f… stuck in all aspects of my life – most of all in my love life… Can you suggest a meditation to unblock my fear and resistance to enter a committed relationship? Also – I am a Kundalini Yoga teacher in Oslo and are in my first year of establishing a centre here in Oslo. I was wondering if there is any chance that you can come to Norway in the nearest future? I suggest doing 40-days of ego eradicator. That gets me unstuck EVERY TIME!!! wahe guru! And how would it be made possible to invite you to norway? Would you be interested in coming? Letting go of that thing I want feels like giving up. How do I keep positive and trust? I’m probably overthinking and blocking myself. It’s just hard to trust when there is no evidence (yet) that what I’m doing is working (and I’ve been doing this a long time). I truly continue to be inspired by you. I often feel open and connected, like I am on my way to manifesting, but becoming 100% clear about what I want can be difficult. Is is strange to try to manifest clarity itself? I LOVE david. Is there a video you have of him talking about this? I’d love to hear his perspective. Remember that with regard to ACIM all words are symbols. So in this case “manifesting” is a symbol for cultivating an energy of love to attract more love into your life. The course wants us to live in the “happy dream” while we’re here learning. Therefore my hope is that you all learn to tap into the energy of love to enjoy this learning experience in this “world”. Hi Gabby: Thank you so much for all of the light you bring to the world. This vblog is what I needed to hear. My Question: how do you incorporate manifesting into your daily routine? What is your intention when you meditate? And if I want to manifest more financial abundance, do I focus on a specific amount or the vision of the lifestyle I would have? Thanks! What would your advice be to an 18 year old who is not yet fully in charge of my financial situation because I still live at home in full time school, and struggle to influence my parents’ attitudes towards money? This was wonderfully helpful. I have been trying to envision success and it has worked somewhat but this takes it to a whole new level. Even seems like something one could do as a couple? Thank you! Hi gabby! I have a question, do you have to know in specific what you want or could you just be postive and trust that universe will give me what i need or take me to a place in life were i should be? Do have to know exactly what i want? Hi Gabby- first of you are amazing and I am so thankful my friend introduced you to me! I am currently reading May Cause Miracles and am on the week about Finances. I know I have manifested a negative or lacking mentality towards them over the years. This is an area of my life that I have struggled with because I grew up with less many than all my friends, but never wanted for anything. My parents struggled, but always made sure I was taking care of. I just saw them struggle financially my whole life and I always said, “I don’t want to struggle or worry about money.” And that fear just manifested and I have become so afraid of being without that I feel it has put me in my current predicament with a very low paying job and HIGH student loan debt that has debilitating effect on and looms over me every single day of my life. I make very little and now have debt collectors/law offices calling. I am trying my hardest to manifest a positive and abundant outlook on this, but it is crippling my everyday life. Any advice on manifesting abundance and actually seeing the results in the one area that is my major source of fear. Thank you for any help and suggestions. I am looking forward to really being able to convince myself and finally have the way to manifest things in my life, what I really want and not what it is left for me, I got a question what happens when something that you want has another person in it, so it doesnt depend just on you…for example if I want to manifest a relationship with somebody I like, a specific person, is that valid?, doesnt that person has his own liberty to choose, is that right for me to do? can I manifest it…abundance, money, jobs are something that are on me but a relationship needs two people, how the manifestation process works in this case? thanks sooo much looking forward to keep learning from you! I just want to start by saying what an inspiration you are to me. I am an avid follower and I have been trying myself to become more intune with my spirituality. I have trouble with getting clear on what I want and clearing my mind. I started reading “May Cause Miracles” and felt it was really helping me but then time just seemed to escape me and I stopped. I just this morning was thinking of starting up again but of course put it off; your vlog however has inspired me to pick it up as soon as I’m home from work. Do you have any advice as to how I can slow down and clear my mind in order to manifest? And what practices are most effective for manifesting. Much gratitude to you for all that you do! I am married and love my husband very much but lately we have been fighting a lot. It seems that I have the least amount of patience for him out of anyone. I have been able to greatly improve other relationships in my life and its something that I would like to work on. Any tips on manifesting a healthier relationship? Thanks! Awesome you´re taking questions, I’ve just ben at a job interview and thinking about how to proceed spiritually. It’s a fantastic opportunity an I would really like to work at for this particular company. The meeting left me feeling inspired, in flow, at ease and joyful. All core-desired feelings and a good prediction of how it would be working there. My question is, should I keep manifesting or/and say that “it is already done” and that if I am supposed to there it will be? I guess I’m a little afraid of being pushy with the universe. Hi Gabby, how do you know the difference between something you might have manifested or guidance? Thanks! The video of David on Manifesting is on YouTube, it’s titled the Impossibility of Manifesting! Can’t wait to hear your take on it at the workshop! Big Love to you GB! Love that you talk about not attaching to the outcome. I understand this but sometimes I feel like it can get in the way of being really clear about what one is asking for. I think that being clear is one of the aspect of manifesting but if I am being really clear about what I want yet not attaching to the outcome and something else shows up… what’s the point of being clear???? Can you help me with this? Love you & thank you for sharing your journey ???????? Thank you for everything that you do!!! You have helped transform my life!!! I can’t wait to see you speak live in Austin TX in June. I Can Do It! so psyched to see you in Austin! This is *just* what I needed to hear as I am starting up a new website for healing, intuition, and meditation…a perfect time to invite in abundance. I feel the place in my life where I am the most stuck is finding the perfect man/partner for myself. I work a mostly female dominated field. I also seem to be interested in men who are not interested in me or not interested in the men who are interested in me. When they are not interested it drives me crazy! I want to know why or what I need to do to make them interested. I sometimes don’t know if I am too picky or simply just haven’t met the right one. Also, dating makes me anxious, but I know that it is at least somewhat needed or the practice is needed. I worry so much that I will never meet someone where the feeling is mutual! What should I do? What should I change? Is there a way to manifest a certain person into your life or back into your life? Please help! I know you asked this to Gabby, but I manifested my husband simply by making a list. I made a list of qualities I wanted in my future partner, and then promptly forgot about it. 5 months or so later, I met my now-husband, and then about a month into our relationship, I found the list. He met every.single.one of the qualifications on the list. When I read it to him, I found out that he made a list of qualities he wanted in his future partner, too! Just an idea — get clear on what it is you want and maybe that will help move things along. Hi Gabby, really good Vlog, as always. I usually am addicted to your twitter feeds, website and Her Future, but my mother in law was knocked over by an car on 7 Feb and has a huge internal brain injury. Thankfully she is know out of danger – thanks also to the prayer posse for their kind words. We are now left facing a future, but a really uncertain one. What can you suggest for manifesting the best outcome for another in this situation? I truly mean if she remains with us or departs to the next level, whichever is really best for her. I would really appreciate your help . My faith has been tested to the limits in the last 2 weeks, I believe in miracles, but can’t seem to find any peace in anything at present. I guess we could all do with your guidance. Thank you. Julie. I always enjoy your vids, Gabby. In my 20’s, I was really ambitious and focused on my goals, but from my 30’s on, procrastination and not finishing what I started have been the 2 biggest challenges. I have just completed and am working on editing a book that I wrote. I am getting ready to send out queries and sample chapters to publishers and agents. What would you say would be the single most important thing I can do do stay focused on my goals and to get rid of those self-sabotaging beliefs that exist on a deeper level than we may consciously be aware of? I appreciate any input 🙂 Looking forward to your new book. I’m in Canada and I bought your book and starting my first day this coming Sunday. Just want to know if the receipt process same for the free workshop? You are so awesome and I have a you spirit junkie alarm that I read every morning…you r making a big difference in my life. Thank you so much! Sorry wrong book and I will pre order the Miracles Now. Wish you had been around 25 years ago for my generation. Still so much to learn from you even in my advanced age!! Thank you for all your insight. Thank you Gabby for sharing this positive vlog with us! I always enjoy listening to you. I have a question about using “your sign” when asking for guidance. If I asked my angels to show me a yellow rose as confirmation that I have made the best choice….how do I know my angels are showing this to me OR am I drawing yellow roses into my awareness by my thought and attention to yellow roses? ?……I hope that makes sense! I would love to hear your knowledge about this….Thank you! You are the best! I watch your videos and am currently reading your books, and everything you say, truly resonates with me. I meditate every morning before my yoga now and it makes such a difference! I am looking for life coaching a little- just in career.. but I never hear back from my requests from your people! (((robinsonbuckler @ yahoo. com))) did a love spell for me about 3 days ago and the results came out miraculous! WOOOOOT!!! I hope they serve you. Welcome to the Spirit Junkie community.